My brother has been suffering for quite some time under some fairly severe psychological pressures. None of us knew how severe until a few weeks ago, when we found him in his apartment. He’d suffered a full-blown psychotic break that landed in the ER, then a locked hospital ward for the past 17 days. He was probably a day away from not being alive. He hadn’t slept in over a week. Hadn’t eaten either. He was driving down the wrong side of the road, hallucinating, and suffering from bizarre delusions. It’s strange. You think of mental illness as some sort of plague or demonic thing until someone you love and know experiences it. Then you see it’s not at all how you thought it was. My brother’s still here. Every bit of him. He’s not crazy. He just believes things that aren’t true right now. It’s not “all in his mind.” It’s a real, physical illness, with real, physical causes. Like a broken femur, he’s got a broken brain, and it’s just in need of some TLC, medication, and rest. Thank God, we expect him to make a full recovery. But it’s going to be a long road to recovery. Since being admitted to the hospital, he’s been diagnosed for the first time with bipolar mood disorder. It makes sense of the last few decades. It also grieves me that he’s been suffering alone for so long. I didn’t know this, but apparently it’s quite common for bipolar mood disorder to throw someone into a state of psychosis during a manic high. No, he’s not violent. He’s a kind, tender-hearted man who loves deeply and has kept his struggles largely to himself because he felt incapable of opening his wounds to others. Statistics say that 18.2% of the total adult population in the United States suffers from some mental illness every year. Likely the actual number is higher (when including undiagnosed cases). That’s either 1 in every 5 people, or as high as 1 in every 4 people in the US. Based on those statistics, we can be pretty confident that some of the people reading this post are suffering silently right now. What if 1 in 4 people was walking around with a broken wrist, untreated for fear of others looking down on them? So often, when we encounter people we don’t understand, we de-humanize, or worse, demonize them. I can’t tell you how many times I’ve done that, or seen fellow Christians do that. Now I realize that Jesus would be ashamed of us. Mental illness is nothing to be embarrassed about. Not anymore than wearing a cast on your leg. I’m proud to be my brother’s brother. I love him. And love demands that I walk through this painful period with him. Between a full-time job, having an infant daughter and wife to spend time with, and being with my brother and supporting my parents, I’ve had neither the time nor the interest to keep up a public façade, to keep pumping out blogs and working on writing projects. When real life hits hard, you shift to focusing on what’s most central to your existence. Namely, God and your family. So that’s what I’ve been doing. That’s why I haven’t been blogging. I still plan on releasing my next full-length novel either the end of September or early October. I’ve got quite a lot of content already created, and I’m excited to share it. 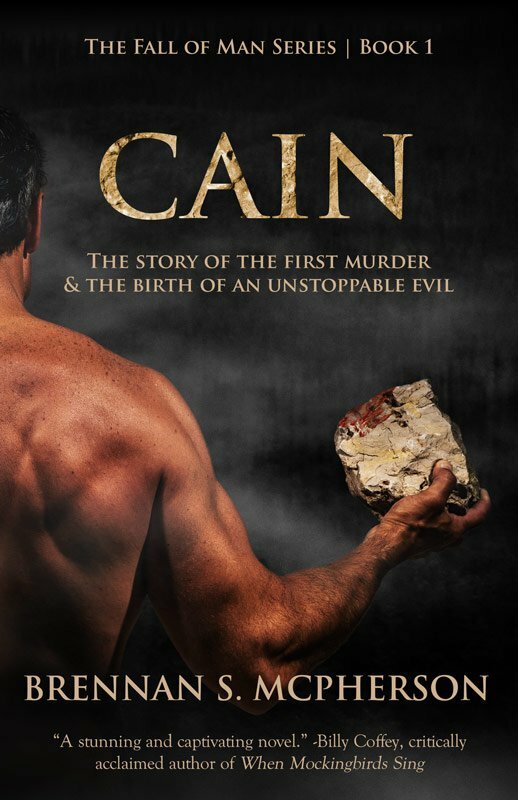 In the meantime, with Father’s Day coming up, you should consider gifting Cain to someone. Right now the paperback is on sale for $9.54 on Amazon. Check it out and pick up a copy for a loved one. But to close out the post. . .
It’s not my brother’s fault that he’s suffered. It’s not your fault you’re suffering. As uncomfortable as it can be, we all need to rely on the grace that God and other people freely offer. The Golden Rule really is golden. If you want grace, give it. Because I guarantee you, you can’t live life without it. Be blessed today. Walk in the peace of God, which transcends understanding, by resting in his good gifts and resigning yourself to thanksgiving and praise. And thanks for reading! Yes & amen. I love you honey! So well said, Brennan. So much truth that sets us free as we are ALL broken in one way or another. Thank you for sharing. Your brother is loved and prayed for along with your whole family. Blessings of wisdom and peace be yours. Thank you so much for posting this. I also suffer from bipolar disorder. I had a psychotic episode that almost cost me my family in the process. I’m so glad you’re standing by your brother. Keep up the good work. Don’t worry about not blogging. Family is more important. My prayers go out for your brother and your family. Thanks again for sharing! Thank you for sharing your experience, Judy! Thank goodness Bipolar mood disorder is pretty dang treatable. I had no idea it could lead to full-blown psychosis, so I had originally feared he had schizophrenia, which is much more difficult to treat. It’s been staggering to me to see just how many people struggle with mental illness at some point in their lives. It truly is a HUMAN struggle–not just some aberrant experience mostly attributed to drug abuse or “crazy” people. Thanks for your encouragement, and for sharing a tiny bit of your own story. It really helps to know other people endure this and get out the other side living a quality, normal life. To be honest, as amazing as my parents are, it has been really hard on both them and me. I think the toughest part is that we haven’t understood my brother for decades, and there’s a lot of hurt that develops over time when you live with someone who has an illness–even in more commonly understood long-term illnesses. There’s also some guilt, knowing that if we had only understood, we would have treated him with much more respect and compassion. It takes a while to change your thinking, to attribute past pains to the illness rather than the person. Because it truly was the illness, not my brother, which was at the core of the hurtful experiences we’ve had together. In the end, he really is an amazing man with a heart so tender and warm you’d be hard pressed to find its equal. And I’m more than proud to have him as my brother. I’m so proud of you, friend. The way you express your heart in words is inspiring. Thank you for sharing your story, Brennan, and being a part of the #AbandontheStigma movement. 1 in 4 and 1 in 5 are very real and accurate statistics. It exists in my family, and as more people are speaking up and sharing their stories, I’m finding that it exists within most families of friends and loved ones. The more we talk, and the more we share, the better we will all be for it. Thank you, Brennan, for using your God-given gift of writing to honor your brother in this way. I’m reading a book called “No One Cares About Crazy People, by Ron Powers. Very interesting. I think you would like it. I’ll keep you and yours in my prayers.